bojam - unites musicians across the globe to make music. 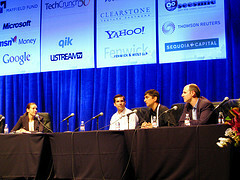 TechCrunch50 was an exhausting three days. We saw a lot of new startups and saw some bad ones too. I got a chance to meet some great people and learned a few things along the way from the various panels at the event. 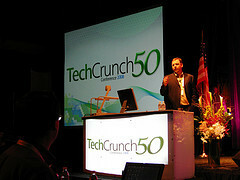 Congrats to every company that particapted in TechCrunch50 from the main stage to the demo pit. So I have sat through two days of startup launches demoing at TechCrunch50 for a number of different verticals from mobile to youth and entertainment, I am have to say my brain is a little numb right now. But I wanted to put out a quick post highlighting a few products that caught my attention. Emerginvest - finance news meets emerging markets. Are these really products - or just features that could be added to existing products? Tomorrow is the final day of startup demos and I hope to chat with a few more startups in the demo pit and in the hallways of the conference. 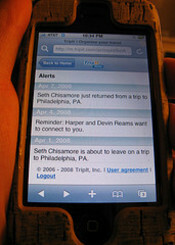 A few weeks ago Mike Arrington gave me a call asking me if, my employer, AOL, had acquired SocialThing. Though it struck very close to home, I had to bite my tongue since the deal had not yet closed and did not comment on the matter. Now that is has been officially released, I can. It is true, AOL has entered into an agreement to acquire SocialThing, the Boulder, Colorado based social aggregating lifestream startup. The terms are not disclosed and the acquisition is still subject to the satisfaction of certain closing conditions. I met founders Matt "indiekid" Galligan, Ben Brightwell and the team as they demo'ed at TECH cocktail Boulder on March 6th. Matt is originally from Illinois, like I am, and moved to Boulder to create SocialThing as part of the TechStars incubator program. I got a preview of the SocialThing private beta at TECH cocktail (shown in the video below) which was a few days before they launched at SXSW Interactive and were written up favorably on TechCrunch as being easier to use than FriendFeed. I was impressed by what this startup had created as it offered a wrapper for all your social activities making it easy to post to multiple networks at once. 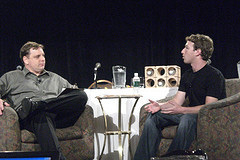 SocialThing is integrated with 13 social media properties including Facebook, Twitter, Digg and Flickr and is currently still in private beta. Is email broken? I have been struggling to manage email for a long time as I attempted to liberate my inbox back in 2005 only to once again stare email bankruptcy in the eyes. Email is such a double-edged sword since I need email to communicate but get so much of it becomes difficult to use effectively. I am not alone, I have heard the same things from a number of colleagues and recently TechCrunch editor and founder Mike Arrington even called the communication crisis produced by email a opportunity for an entrepreneur. 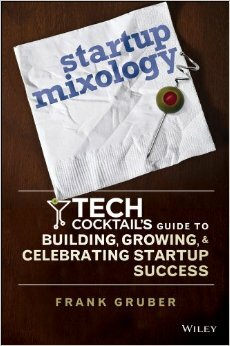 I recently met Jared Goralnick who is a bit of a productivity guru. Jared joined me on quick SOMEWHAT FRANK TV episode number 17 (below). 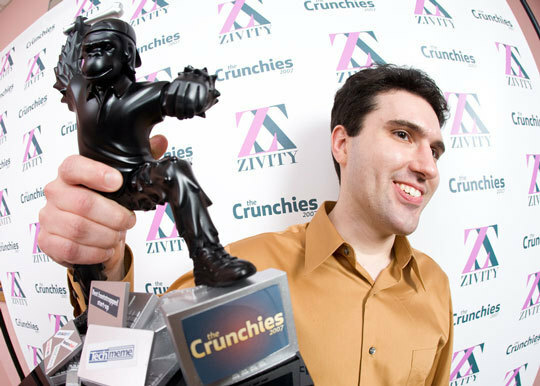 He recently founded AwayFind.com. AwayFind, a DC-based startup, is looking to help ease some of the email burden so you can focus on your day-to-day tasks without constant interruptions. With AwayFind, which is currently in private beta, users can setup a page (like this one I created) to include in auto-response messages to anyone that emails them. The auto-response offers a little explanation as to when you might get to the mail and a form which can contact the user directly via SMS text messaging and email if the item being sent needs to be handled immediately. You can sign-up for the AwayFind beta here and you can follow them on twitter here. 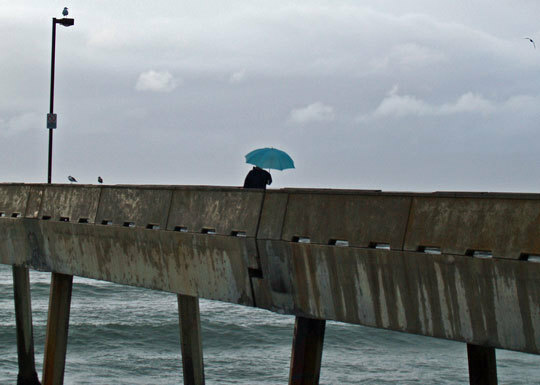 Photo of the Week: The weather in California has been a bit moist this past week as this photo by Michael Risenhoover shows. 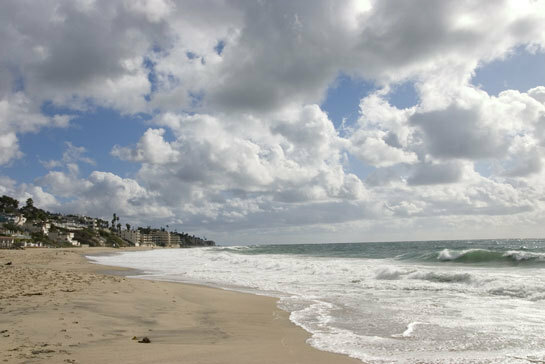 Photo of the Week: This photo was taken by Joey Wan while she visited Laguna Beach recently. It had me California dreaming!